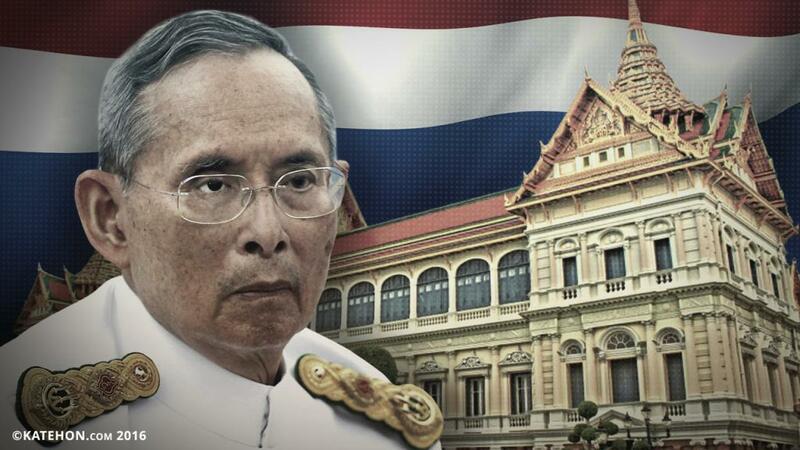 Since His Majesty King Bhumibol Adulyadej, the beloved king of the Thai people, passed away on October 13th, 2016 at 15.52 p.m. at Siriraj Hospital, the Thai people have been in shock, heartbroken, and wallowing in sorrow. According to the ancient Thai tradition, when the king passes away, there must be a mourning of the whole Thai people and the Thai government and its organizations. However, it depends on each government to determine the mourning period. Sometimes, it takes more than one year or almost three years. However, the mourning is not a rule nor has it appeared in Thai law. It is only the legacy of the ancient Thai tradition and custom to pay respect to their king. Recently, I have read newspapers and analytical articles from many news agencies abroad. They try to pose the questions as to why Thailand has not appointed a new king; if the central point of Thai politics has been broken and is affecting the future of Thailand; and if there were any effects on neighboring countries and alliances. Reference should be made to the royal law of His Majesty King Bhumibol Adulyadej (Rama IX) in terms of the royal line of succession in 1924 and the officially endorsement of his heir according to the royal law, which was His Royal Highness Crown Prince Maha Vajiralongkorn. Royal law clearly determined that any laws contrary to royal law are to be cancelled. This meant that the royal law appointed His Royal Highness Crown Prince Maha Vajiralongkorn; it was final and inviolable. Any action which was to change the royal law was regarded as a rebellion. But His Royal Highness Crown Prince Maha Vajiralongkorn did not desire to succeed His Majesty Bhumibol Adulyadej (Rama IX) and wanted to abdicate the throne. Therefore, the answer to the question as to why we have not appointed a new kind immediately is because His Royal Highness Crown Prince Maha Vajiralongkorn does not want to be appointed over the sorrow of losing his beloved father. Moreover, the official Thai is rooted in tradition. Thus, the steps of appointing the king include several elements such as the management of the corpse and the control of the people’s harmony, especially in a tough time when few groups with ill will try to incite and persuade the people to break the harmony and the unity. Besides, all Thai people are sorrowful and cannot accept the loss, because His Majesty Bhumibol Adulyadej (Rama IX) was virtuous and occupied a place in the Thai people’s hearts like no other kings could do. The best way to handle things now is to appoint a new king only in proper and due time. The monarchy plays an important role in politics as the unity of the nation, the creation of independence, and the stability of political foundations. Since the past until now, as for administrative reform, the role of the king is to help forge the great unity of the nation. Thai people, even those with different traditions and religions, share the same feeling towards their King. The role of the King is to help his people believe in democracy. The faith and loyalty of his people through the monarchy has resulted in faith in the democratic form of government with the King as Head of State. It is this system which praises the beloved and faithful monarchy of the Thai people. The King plays a great role in the happiness and prosperity of the nation. The King creates many important projects to develop the economy and society. He is a good model for the people and government to practice for profitably developing the country. Moreover, he created the opportunities for new ways of life, such as earning a living with the help of science and technology, which helps society to develop in a better way. The important developments and reforms of the nation were mostly led by His Majesty King Chulalongkorn the Great or Rama V. He laid the foundations of democracy by forming ministries, supporting education, and abolishing slavery. At the present, the King is a great supporter of education and culture. He creates many projects to solve the country’s main agricultural and social problems. Most royal projects are aimed at solving agricultural problems for farmers, the poor, and disadvantaged people, which is the largest part of the population in Thailand. As shown above, the role and duty of the King is not administration, not ruling nor authority, but being a creator, a role model, the center of the nation. He brings happiness to the people. He supports people. Competence in politics, administration, military, and foreign affairs mostly depends on the government and military of Thailand. Any change and decision which are made will be reported to the King, who can also object to anything inappropriate. This is to balance power and is not proscribed in the law or civil service’s writing, but is meant to honor and continue tradition. The present government emerged following the revolution launched by military groups who sacrificed for the nation and monarchy. Therefore, I believe that this government will proceed in their aims to develop and perform their duty by putting public service and the stability of the nation first. Sometimes, there are obstacles and mistakes, but with purpose and will to develop the nation in progressive and positive ways, the Thai people and I still believe in the ability of the present government. We, Thai people, do not wish to be a great or rich nation, but only wish our nation and its descendants to live happily and peacefully. Another main question is how Russia will react to this change. The answer lies in the long-term relationship between Russia and Thailand. We have enjoyed good relations since the period of Emperor Nicholas II of Russia and His Majesty King Chulalongkorn the Great or Rama V of Thailand. They even enjoyed good friendship. Thus, the change of monarchy at this time will not affect nor cause any problems in relations with Russia. In fact, relations could improve thanks to Russia’s continual sympathy for Thailand especially during the hardest times. Russia has always understood and never interfered in Thailand, even in situations of anarchy. Therefore, I believe that Thailand and Russia still have the ability to develop relations even more harmoniously.